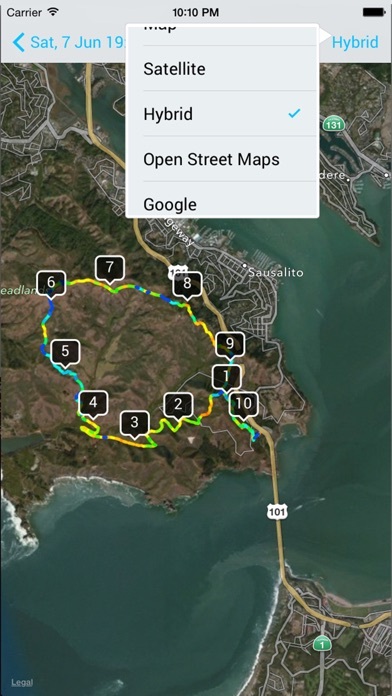 iSmoothRun is the best App to effectively track and log all of your running, walking, hiking, cycling and any other fitness activity you like. Solid performance. Continuous development. Best sensor and external display support. The best stand alone Apple Watch app, with configurable pages and solid performance that puts to shame any sports watch. Connect your BT sensors to your watch and leave your phone home. 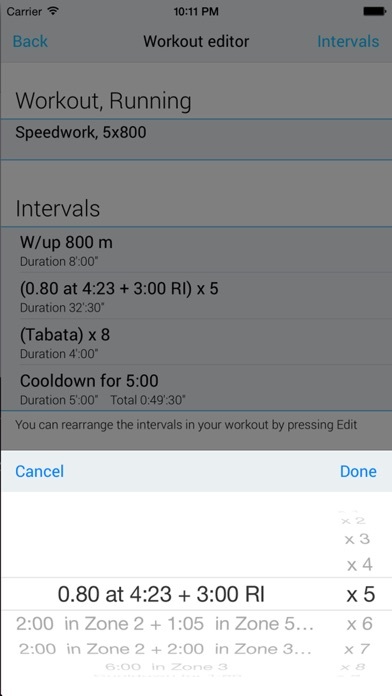 Best Interval and workout editor to help you follow your training plan. Create any workout based on HR, HR Zone, Pace and let the app pace you. Workouts are available on the Apple Watch too with full Audio support! Even Power based workouts are supported for stryd footpods or cyclists. Programmed by runners. Used by coaches. Check out our user reviews. - GPS and Pedometer Using both the GPS and Pedometer iSmoothRun literally follows you in every step of your training. It will automatically switch modes depending on GPS signal strength. - All day step tracking for iPhone 5S/6/7/8/X users - Listen Accurately tracks time, distance, location, pace, altitude, running cadence, heart rate, power and reports them with audio announcements at configurable time or distance intervals. 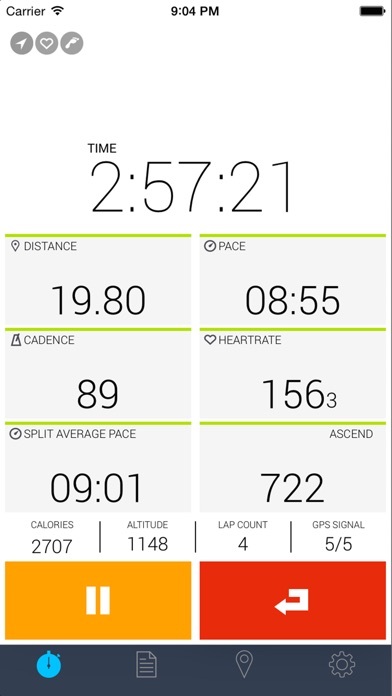 - Improve you running Form iSmoothRun will consistently track your running cadence. Use the build in metronome to easily raise it. 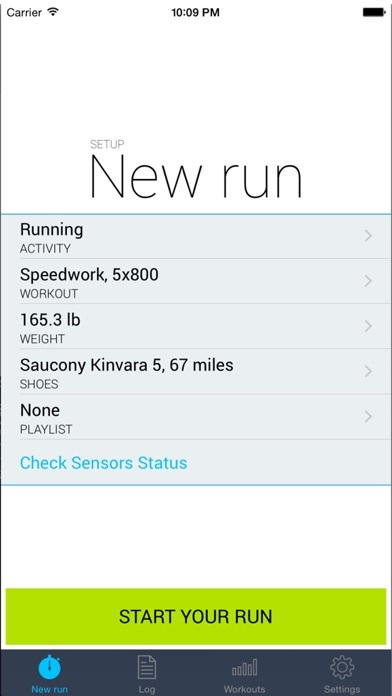 Cadence tracking is offered for all iPhones and not only 5S. - Auto Pause Stopped at a traffic light, or on the top of your climb to catch a glimpse of the view? iSmoothRun will pause and start automatically as soon as you are on the move again. - The most extended support for sensors All BT Smart sensors (HRMs, footpods, speed/cadence combo, cycling power) Support for Stryd and Milestone Pod advanced footpods (custom metrics like Contact Time, Form Power etc are supported too) All ANT+ (extra hardware needed: 4iiii Viiiiva ) - Your data are yours, Don't lock yourself in. We love being open. Export your training data in GPX,TCX,KML,PWX, or CSV format. Connect and share your workouts with the most active running communities, Dailymile, Runkeeper, Runningfreeonline, Garmin Connect, Strava, sportTracks, Movescount, 2PEAK and TrainingPeaks. Post to Facebook and Twitter. This is the most connected app, period. - Intervals? We love them too Powerful interval editor will let you define, in an easy way, all of your interval/structured workouts. iSmoothRun will then coach you during your run. Support for Heart rate zones. -Run/Walk Are you into Run/walk training? Great. Now it's easier than ever to set your timers and enjoy all the benefits of the best running app. - Track your Shoe mileage Every runner knows that tracking the mileage of his running shoes is essential. Now it's easier than ever. - Enjoy Swiss design. When it comes to design only the best is good enough. 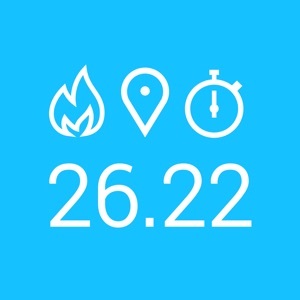 - Check your workout statistics Average pace/speed, cadence, total distance, time, average/maximum heart rate and climb. Splits and interval statistics. Graphs for pace cadence heart rate and altitude. - Your iPhone is your training log All your data stored in the device. Amazing customizable graphs for each run and for weekly, monthly loads. Follow closely your training load, train smarter and avoid overtraining. - Lose weight Track your caloric expenditure for both running, walking and cycling taking into account activity type, weight, gender and slope or heart rate if available. Track your weight. Connect it with your withings or Aria scale. - We love Cycling too Pair it with any cycling sensor, combo, speed only or power meter. (ANT+ sensors need extra hardware). - Ghost Run Race against a previous run of yours or a predefined pace. Get motivated, evaluate your training. ...and much more! ** Continued use of GPS running in the background can dramatically decrease battery life. **iPod touch users are advised to use an external sensor, GPS or footpod.